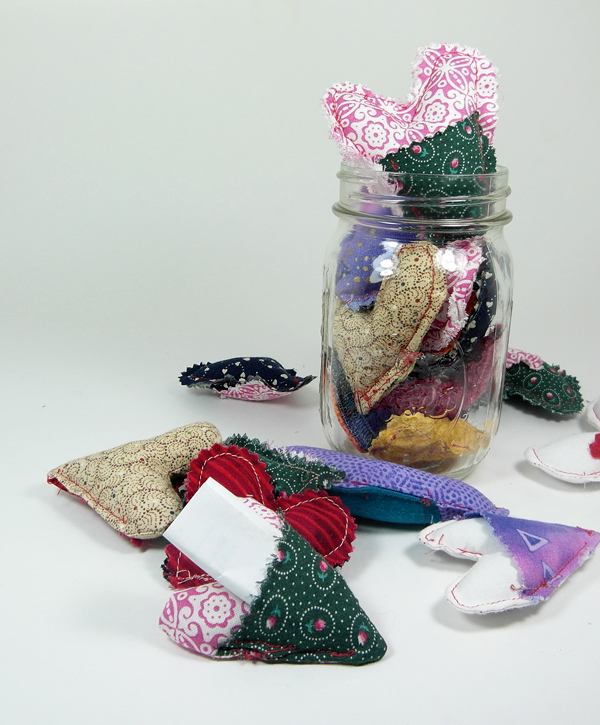 ' Jar of Hearts - Valentine Heart Messages - Sisters, What! 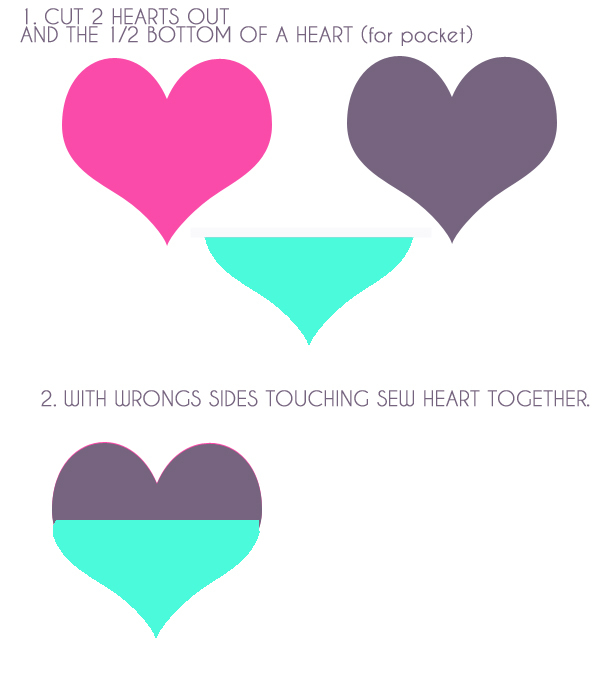 Anyway, I started this tradition only last V-day. It was actually just a few years ago that we came to terms that v-day was just another day, and that neither of us should expect roses or chocolates etc. We both disliked the idea of a holiday giving us a specific day to show affection and such (probably because it was so easily forgotten oops). So, we decided that we'd surprise the other person with a little something either some time before v-day or after. That way, there'd be no expectation on any day and the other person would be totally surprised about it. Genius right, well that would be the husband who randomly came up with that idea when he bought me flowers a week before v-day one year. 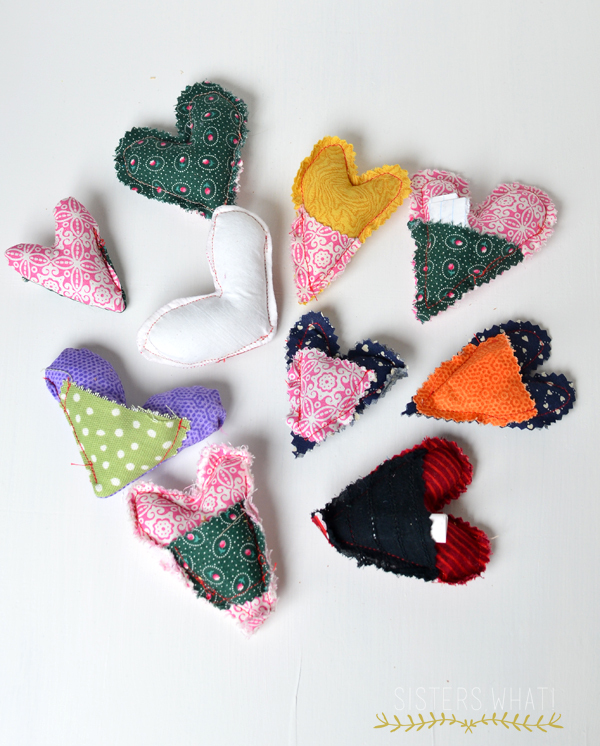 Last year, I decided to make bunch of scrap fabric hearts with pockets in the front. 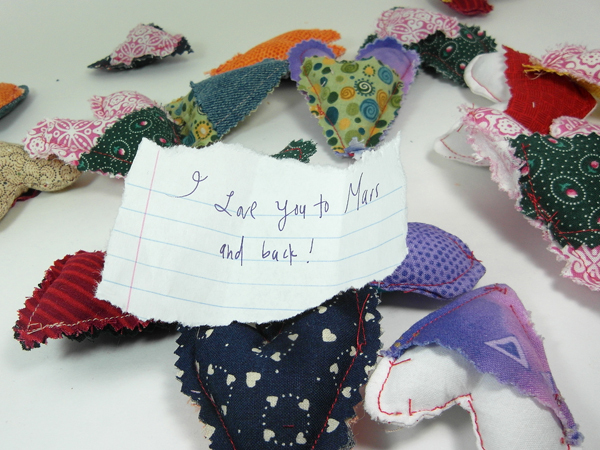 The pockets were the perfect size to fold up little notes of sweet nothings and appreciation. I then left these little notes in his clothing pockets, socks, shoes and etc. He loved them and I think it probably took him about two months to find them all. Then for the rest of the year, I started finding hearts in my things. 2. with wrong sides together (pocket on front) sew layers together. Make sure you leave an inch or two for the pillow stuffing. 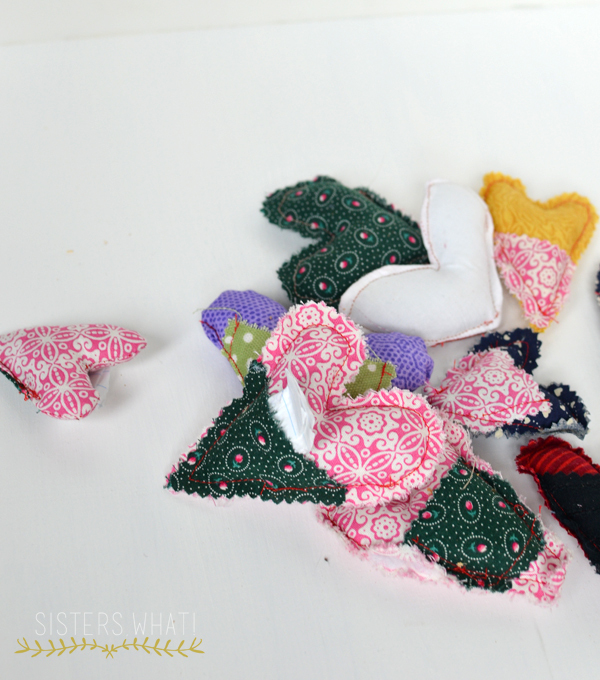 After you stuff the heart, finish and sew up the rest of the heart. Seriously, the best gift that keeps on giving. I can't wait to leave him some more hearts and find some hearts myself.